We work to serve the interests of our fellow students and contribute to the betterment of our university. To that end we: Actively seek and resolve student concerns; Serve as liaisons to the student body and the university administration; Provide relevant and useful information to the student body at large; Recruit and develop student leaders within a professional culture; Create and engage in endeavors that impact the greater community; Protect & perpetuate the quality of our degrees; and Cultivate individualized college experiences for our students. 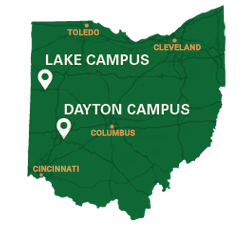 The purpose of SGA is to advocate for and represent the interests of students at Wright State University. We are committed to promoting student participation in the overall policy and decision-making processes of the University, enhancing the quality and scope of education at the University, and promoting the general welfare of the student body.